How can I delete a special day? 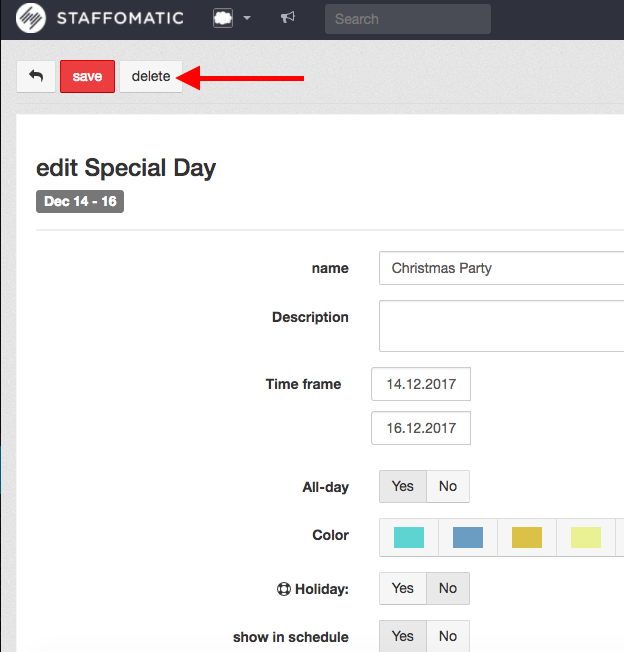 To delete a special day go to the menu item "Absences" and click on "Special Days". Now chose the special day you want to delete. A new window will open where you can set the details of the special day. Click on "delete".